Be the Prima Ballerina in the best dance company & make your ballet dreams come true! Create & choreograph professional dances with tons of dance moves & unlimited variations! 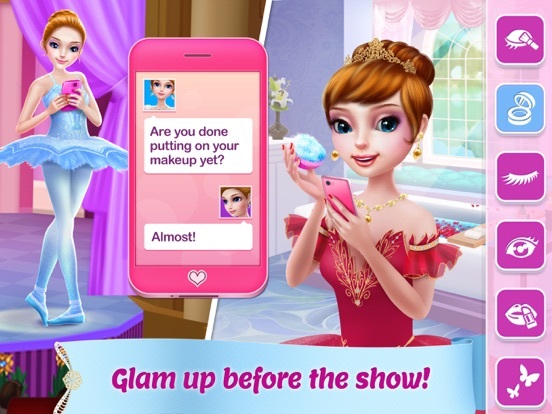 Style your ballerina before the big show with stunning outfits & dance accessories! > Dance at a world famous theatre to the most famous ballet tunes! 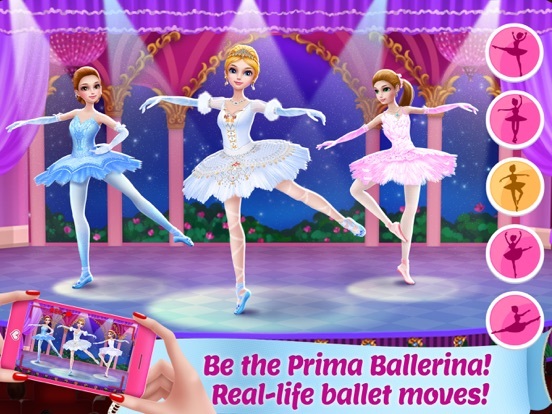 > Choose from a variety dance moves & choreograph your very own ballet! > Save your best performances & watch them over & over again! 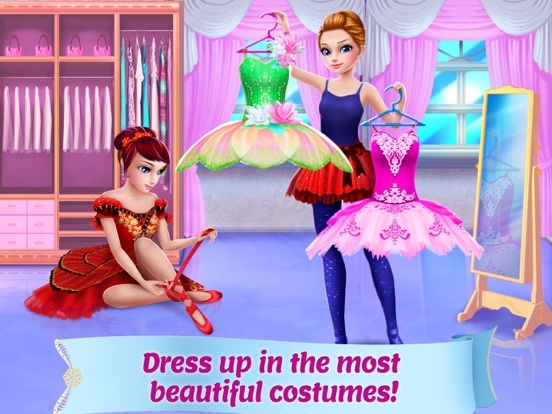 > Dress up in the most beautiful ballerina outfits! Tons of tutus and dresses to choose from! > Uh oh, ballet injury! 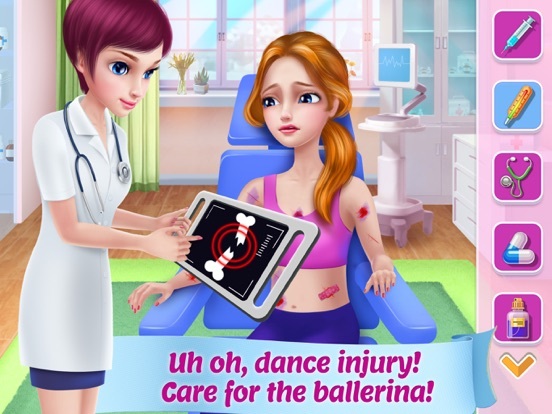 Treat injured ballerinas at the doctor’s clinic! > Style your hair in fancy buns, just like a real professional ballerina! > Take a pic with your favorite Ballerina! Smile for the camera!